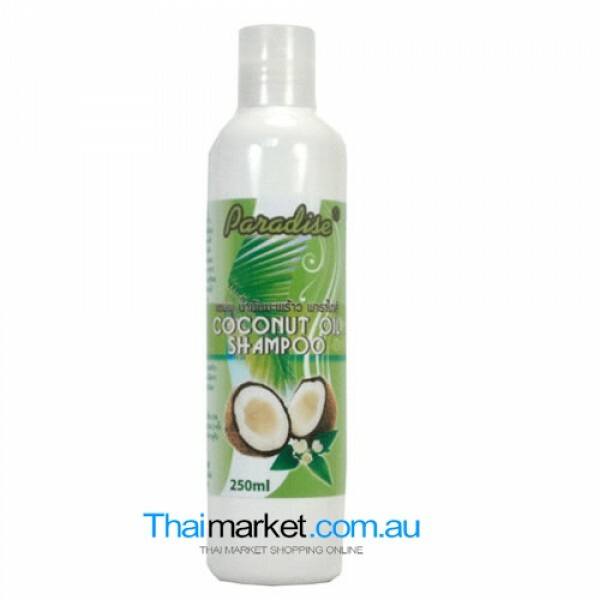 Our coconut oil shampoo 250ml, is a mild, hypoallergenic shampoo, free from petroleum-based oils and full of the natural goodness of virgin coconut oil. Cleans, revives, refreshes. 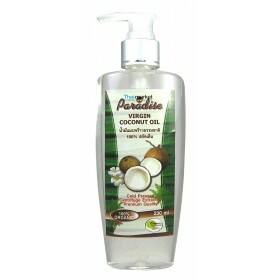 Virgin Coconut Oil, Aloe Vera, Vitamin E, Glycerin and Fragrance. I have the worse hair ever and I bought this product to see if it would be a good replacement to the (expensive) morrocan oil I have been using. To be honest I didn't think it was even going to compare b/c it is about 75% cheaper than what I have been using. The first few days I used the Paradise coconut oil as a intensive treatment and it was amazing. It totally repaired my sun scorched hair (big time)! Now I just use a little in the palm of my hand to keep the friz out and give it a shine (and sweet, clean fragrance). I love it. I also put this oil on a cold sore over night and when I woke up it was gone. I am thinking this is b/c of the rich doses of vitamin E, not sure. All I know is it worked! I do use this on my skin, but that is a given. It is so smooth to the touch which of course feels great when you rub it into your skin. I did not expect oil to be this good simply b/c of how cheap it is, It really does rock! !